ERA recently participated in the Architectural Conservancy of Ontario’s Second Annual Job Shadow Program, organized by the ACO’s NextGen group. Megan Rolph, Golsa Kheirmoghadam, Josie Harrington, and Amy Calder shadowed various members of the ERA team, attended meetings, visited job sites, studied current projects, and took part in our end-of-week office social. 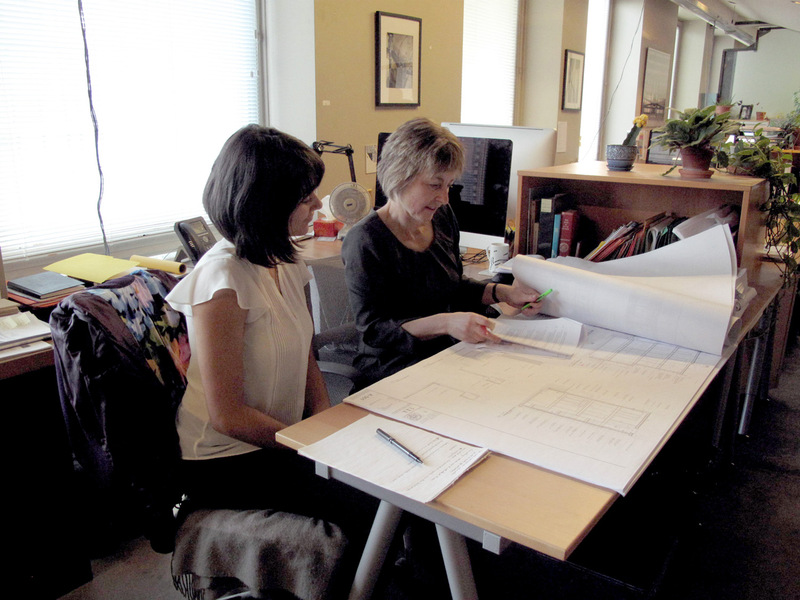 ERA’s Gill Haley goes through a working drawing set with Waterloo Planning student Amy Calder. Special thanks to the ACO NextGen and Amy Barnes for organizing the 2014 Job Shadowing event. It is a wonderful way to support young people in the heritage industry and we feel very privileged to be apart of it.